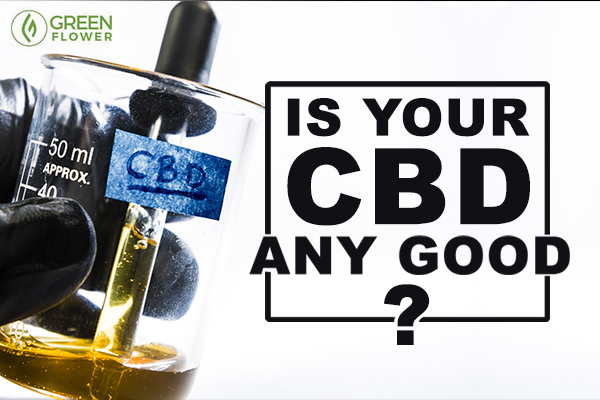 How Can You Tell if CBD Products are Good or Bad? What's in your CBD product? The cannabis plant contains many cannabinoids, all of which serve a unique purpose. More are likely yet to be identified, but to-date at least 113 cannabinoids have been discovered. For a long time tetrahydrocannabinol (THC) was the primary focus of researchers and cannabis enthusiasts because it is the cannabinoid that is responsible for causing euphoria. THC was first discovered over 50 years ago. Lately a different cannabinoid has received a lot of attention - cannabidiol (CBD). It seems like every time I turn on the news or I am browsing social media, there is a story about CBD. CBD has been the focus of a lot of news coverage in recent years, and rightfully so. CBD has the ability to treat a number of conditions, especially epilepsy. A number of inspiring personal testimonies can be found when searching for CBD information online about how the cannabinoid helped treat people's conditions, which has led to a dramatic increase in people trying to obtain CBD products. But how can consumers be sure that they work, and how can cannabis consumers tell the difference between good CBD products and bad ones? It is estimated that as many as 3 million people in America suffer from epilepsy, with an estimated 65 million people being diagnosed with the condition worldwide. A study from early last year found that CBD oil was 'highly promising' as a treatment for epilepsy. 89% of participants in the study reported having fewer epileptic seizures after taking doses of CBD oil. Another study, out of Brazil, found that CBD mitigates the symptoms of Parkinson's disease. The number of studies that demonstrate CBD's medical benefits are abundant. Even the Director of the US National Institute on Drug Abuse (NIDA) seems to agree that CBD has medical benefits, despite the federal government's official position being that cannabis has no medical value. Whole-plant is the opposite of isolated CBD. Research has shown that products made from whole plant extracts provide the most wellness benefits due to a concept known as the 'entourage effect.' CBD by itself can only do so much. It needs other cannabinoids to help take it to the parts of the brain and body where it can be most effective. CBD on its own is still beneficial, but not nearly as much as when it is combined with all of the other cannabinoids found in the cannabis and hemp plants. As such, CBD products that have zero THC in it are not as beneficial as products that have at least a little bit of THC. Where and how were the plants grown that went into the product? The best cannabis companies are very transparent about their processes. Chances are you have seen CBD products being sold online, or even in stores, which is not the same as CBD products made from whole plant extracts. Most, if not all, of online CBD products are made from low grade hemp paste that comes from China. Consumers have no idea how the plants were grown, no idea how the cultivation was regulated (if at all), or really anything else about the product since it's not approved by the FDA. At the least those products are a waste of money, but at the most they can be harmful to your health. The plant is not harmful to your health, but any potential additives certainly can be. 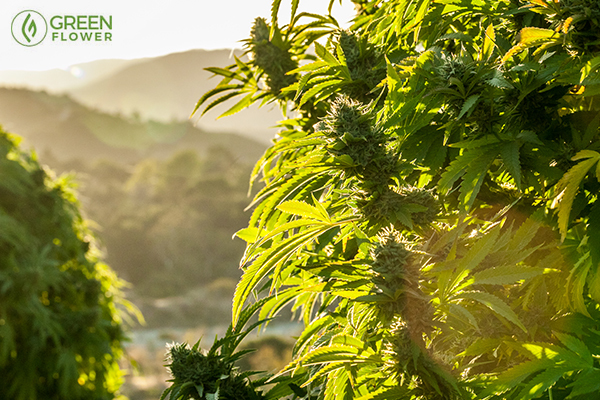 The easiest way to tell if a CBD product is quality or not is to find out where and how the plants were cultivated that went into the product. If you research and it leads to generic claims or dead ends, you are likely dealing with an inferior product with potentially harmful ingredients. 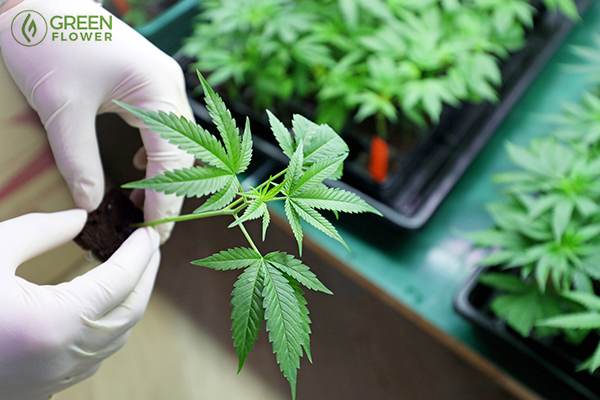 People that make quality, helpful CBD products are proud to share their genetics and cultivation methods. They may not always disclose the exact location, but they will at least give the general region where their farm(s) are located. CBD is technically not legal in all 50 states. At the federal level the cannabis plant and all of its parts, including CBD, is prohibited. However, a number of states have legalized cannabidiol in one form or another. Only four states in America have yet to legalize at least the possession of CBD - Idaho, Kansas, Nebraska, and South Dakota. 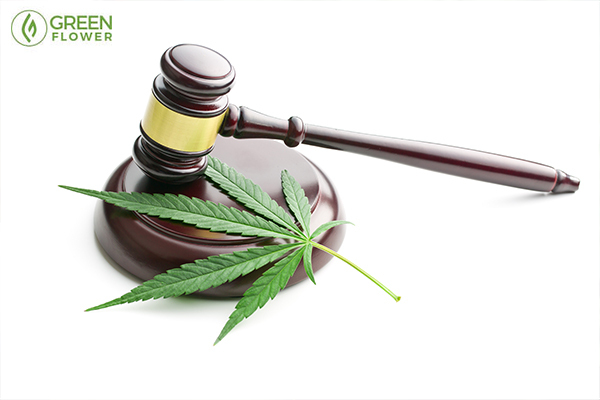 Just as not all CBD products are created equal, so too are not all CBD laws created equal. A number of states have legalized the possession of CBD products, but the cultivation and distribution of cannabis is still expressly prohibited. If your state has an unworkable CBD law, make sure to contact your elected officials. Explain to them that CBD is not enough, and that forms of cannabis medicine should be legal for suffering patients. 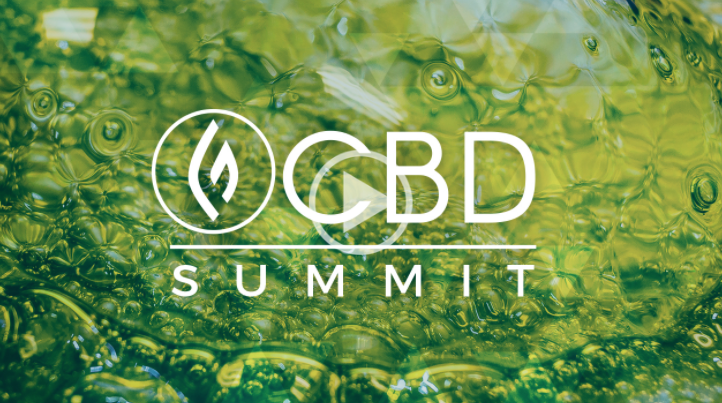 If you want to learn more about how to use CBD and get the most benefits, please check out the CBD Summit, which you can watch right now – only on Green Flower. Have you ever purchased a CBD product online? WATCH: Could Modern Cannabis Save the World? WATCH: What Makes a Quality Cannabis Topical? Your Guide to Throwing a Cannabis Health Summit Viewing Party this Weekend!